Palawan is one of the most popular tourist destinations in the Philippines, known for its beautiful beaches, crystal clear blue waters, and beautiful, ocean silhouetted sunsets combined with the friendly people and world class resorts. Puerto Princesa is the capital of Palawan, and is a hotspot for various activities and hotels. Wondering what you can do and where you can stay at in one of the most fun-filled areas in Palawan? Here’s a little guide to help you plan your trip itinerary. 2.1 1.) Clean, comfortable and large rooms. Travelling tends to get rather expensive, specifically, the airplane tickets do–thankfully Air Asia offers plane tickets and flights at a lower cost than other airlines. 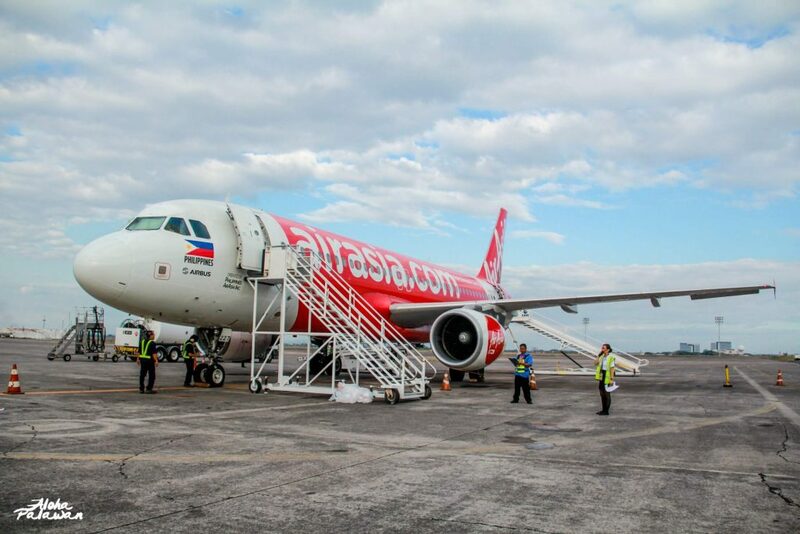 They offer flights to many different locations such as Davao and Clark, and Puerto Princesa is yet another example. While waiting for your flight towards an island getaway and mini-paradise, you can stroll around the different shops at the Clark Airport in Pampanga. Looking for somewhere to have a meal before leaving? Matam-Ih is a great place to take a bite, a restaurant not at all like your typical airport chain shops. 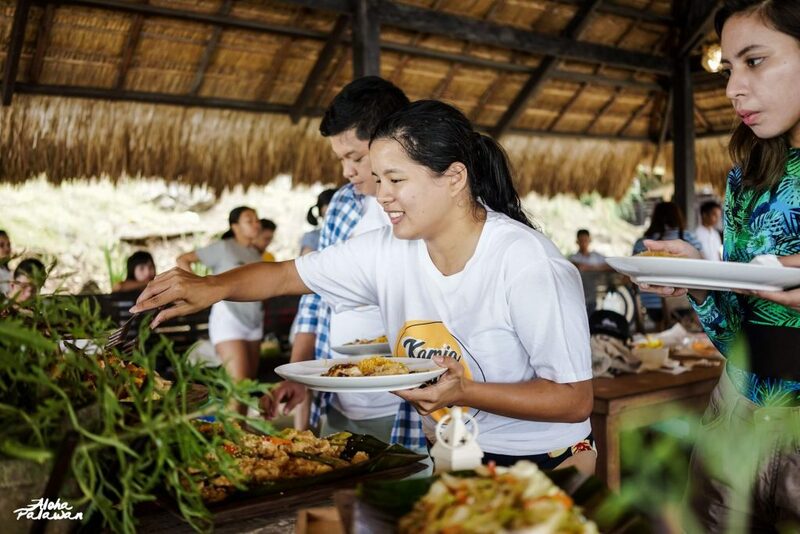 They serve up authentic and delicious local cuisine from the airport’s province of origin: Pampanga. 1.) Clean, comfortable and large rooms. 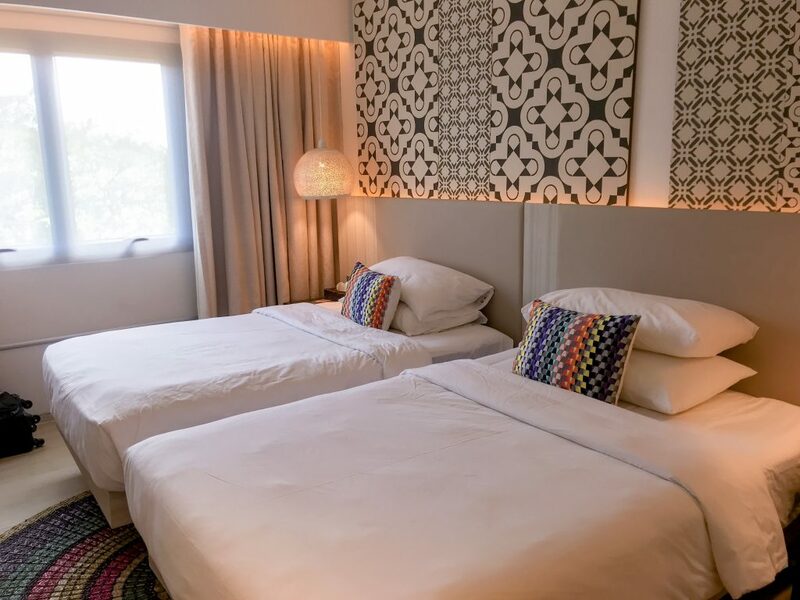 There are different rooms you can choose from, such as the deluxe, suite, and family room depending on the number of people you’re travelling with. Our room was equipped with 2 beds, a cabinet, and all the needed necessities. The shower and bathroom are separate, and a really cute rug lies in the middle of the room as an eye-catching centrepiece. which is surprisingly very stable and fast, great for those who need connection 24/7. which serves up delicious Filipino cuisine as well as other Asian and Spanish selections. The Matiz restaurant is where you’ll be having your inclusive breakfast buffet that consists of a wide spread of various Filipino dishes, such as bagnet, sisig, quail eggs, and more. The restaurant opens up as early as 5 AM in the morning to make time for those who have morning tours. The best part about our meal was the live performance as we ate. with a wonderful aerial view of the nearby city. 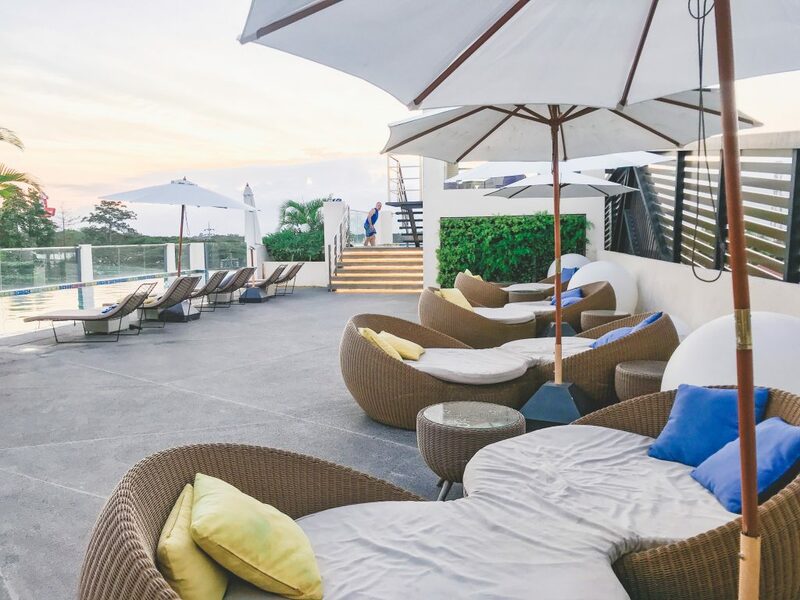 You won’t even have to leave your hotel to get some much needed rest and relaxation while sitting back on the lounge chairs, watching the beautiful Puerto Princesa sunset in the distance. Need to ease those knots out of your back? Thankfully, the Hue Hotel also has a spa service you can avail of–complete with massages to die for. It might seem like a menial detail, but their lobby is very clean, and cute with a giant chess board for guests to play freely with. It is also very cozy, and a great place to relax while waiting to be checked in. Not only that, but the Hue Hotel is also placed in a very accessible location near to various tourist spots such as the Puerto Princesa City Baywalk Park and the Puerto Princesa airport. 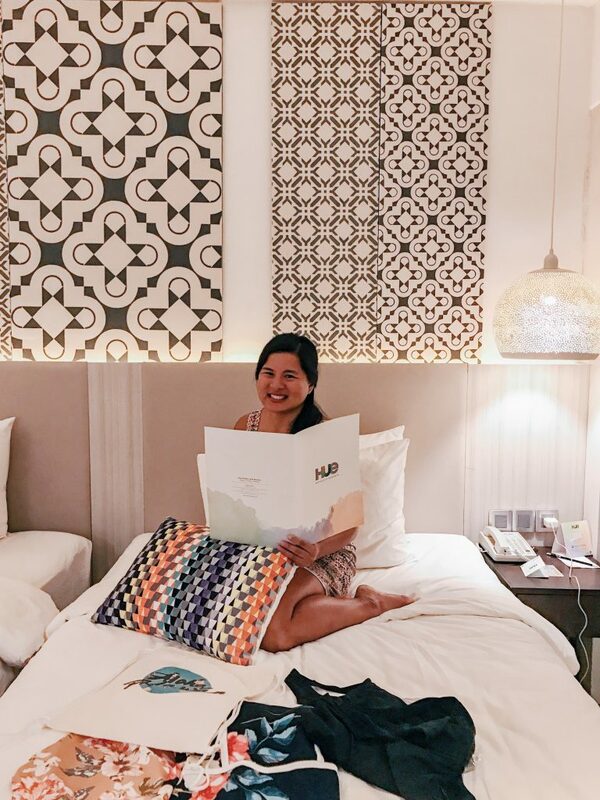 The staff are very friendly as well and are willing to tend to your concerns and requests, making the Hue Hotel a good, wallet-friendly place to stay while on the island. At the Hue Hotel, you can have a full vacation without ever even needing to leave the premises. 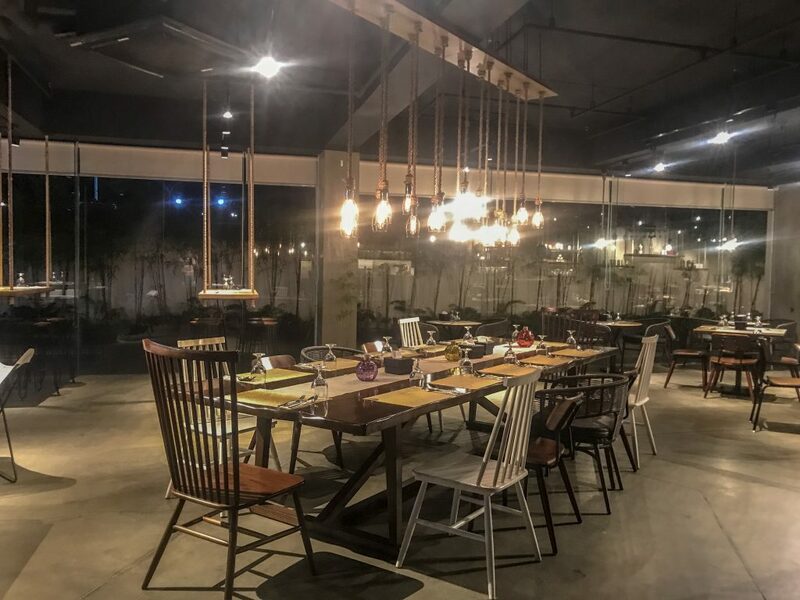 The restaurant is designed very creatively, giving off a modern and rustic vibe which makes the area perfect not only for a delicious, hot meal– but also for snapping a few pictures with family and friends. While Filipino food is delicious, it helps to have a little variety every now and then. 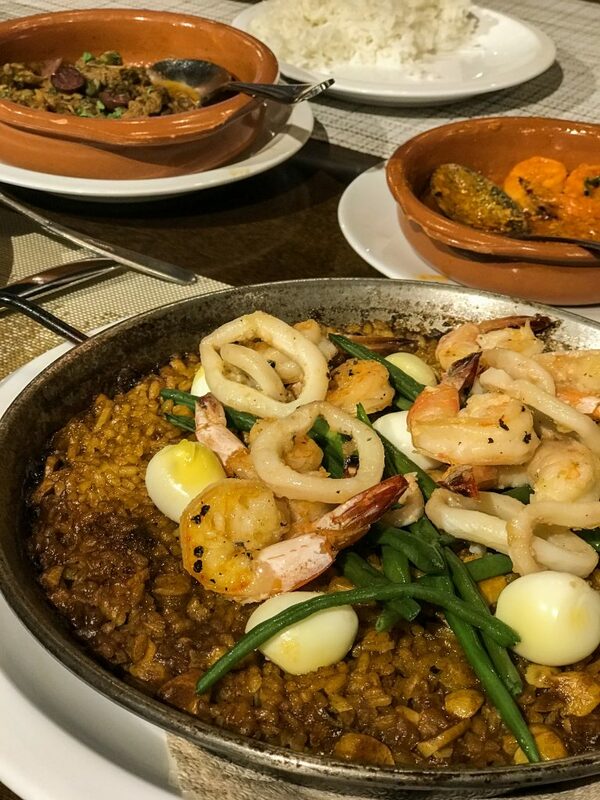 The Matiz Restaurant and Tapas Bar serves not only Filipino food (its main specialty), but also Spanish, Vietnamese, and American cuisine which will not disappoint. Not but not the least, the friendly and accommodating staff at Matiz will be sure to make you feel as if you’re at home. If you’d like, you can even ask them about the best spots to visit while in Puerto Princesa–who knows, you might find a hidden gem or two. The beaches and bodies of water in Palawan are definitely a sight to see and an even better place to throw out a towel in order to get some much needed rest and relaxation, but that doesn’t mean that Puerto Princesa can’t give you an adventure and adrenaline rush, too. The Kamia Bay Resort isn’t your typical, laid-back resort, but also a place you can get your energy fix. It’s the biggest Aquapark not only in the Philippines, but in the entirety of Asia. The resort offers many different fun-filled amenities perfect for hours of fun with friends and family. Inflatable Play – One of the main highlights of the Kamia Bay resort is their large inflatable play area. 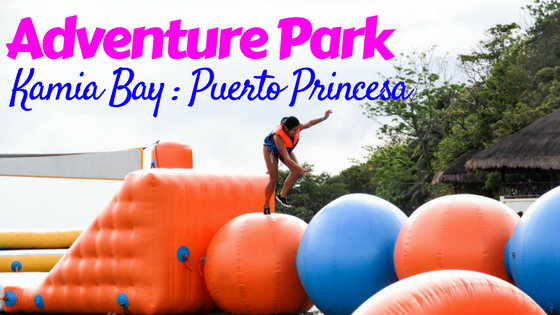 We’ve tried a similar inflatable water park in Subic, but this one felt a lot more secure. Our landings were smooth (sans the human launcher, of course) and all our activities felt safe and most of all, enjoyable. Kamia Bay boasts the steepest slides–I tried both and I enjoyed it! So much so that I had another go. 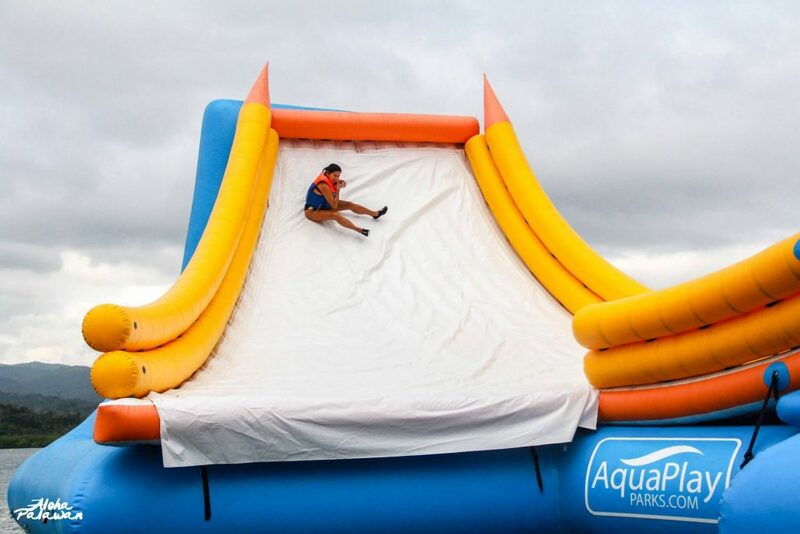 The energy it takes to go up and down the stairs and balancing yourself on the inflatables is a work out in itself, so active individuals will love participating in the inflatable play. To enter the area you have two options: Paddle board or swim. The staff suggests you swim, however, so you can get your body wet, warmed up, and rearing to go. Playing on the inflatables makes you feel as if you’re in an episode of Wipe Out but nonetheless–it was fun. 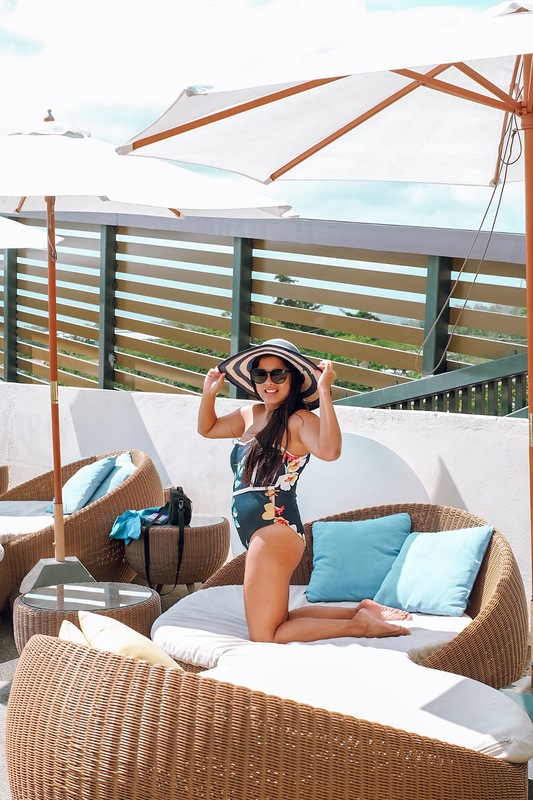 My friend and co-blogger Kara mentioned that she even feels safe and secure enough on the inflatables to take her young niece and nephews there. 2.) 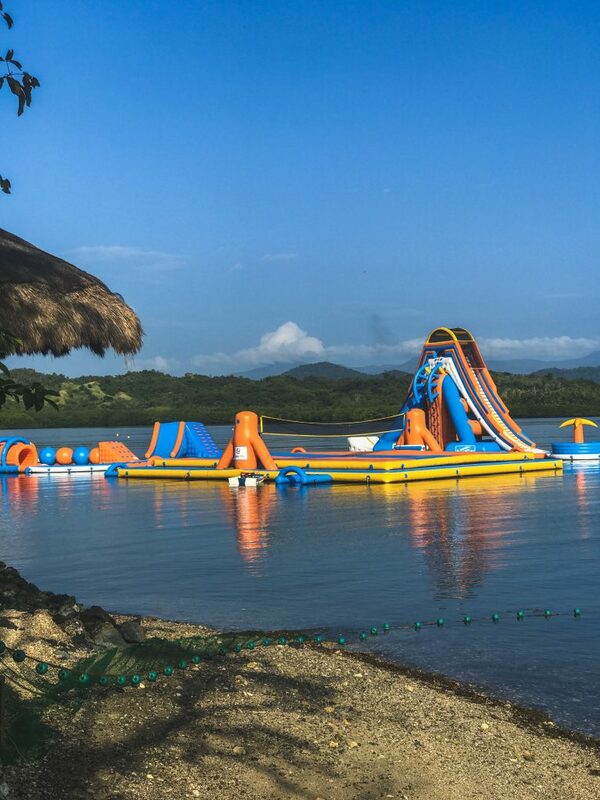 Biggest Inflatable Playground – When Kamia Bay says huge, they definitely mean huge. So huge, in fact, that you can go with a group of people and not see each other for your remaining hour of play. Each station has a guide, so you don’t have to worry about getting lost as you jump up from trampoline to trampoline and walk across the inflatable bridges and slides. 3.) 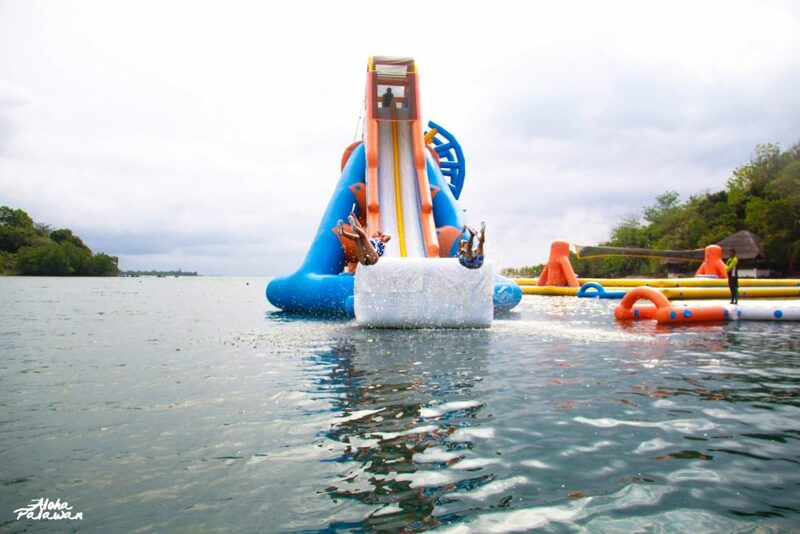 Tallest Inflatable Slide and Human Launcher – The Kamia Bay is home to the tallest inflatable slide–be prepared to scream your lungs out in delight as you slide down the slippery slope. The human launchers, on the other hand, consist of oversized trampolines you can jump off of–the trampolines are so huge you’ll find yourself higher up in the air than you can imagine. When you’re tired, you can occasionally sit down to rest on the tropical inflatables littered around the inflatable playground. 4.) The Slides – The slides at the Kamia Bay Resort are no doubt incredibly tall and daunting, given the height and not to mention the slippery nature of the inflatables. There are two ways you can get up the slide: there’s the hard way and the easy way. The hard way involves some upper arm strength. I went for the easy way since I saw the guy before me flexing his muscles to get up the hard way–it looked like he was wall climbing. My main objective was the slide, not the difficult climb up. So in the end, I took the easy way out and simply climbed the stairs to get to the top of the slide. Prepare to be a KID again at the Kamia Bay resort. Here, you can leave all your stress and worries behind. Riding their giant slides will make you feel as if you’re a little child again. The Bike Trail is an area at the resort specifically made and designed for experienced mountain bikers. It is a brand new, recently built MTB (Mountain bike) bike train which offers lots of challenging routes and paths. I wanted to try this out but the guide said its best if you had off road mountain biking experiences, or were of intermediate to advanced skill in biking. I didn’t have any prior experience so I had to sit it out–my friend, who participated in the trail, said it was fun but it can be a little extreme so its better if you have experience. Maybe next time. If an adrenaline rush and swimming in the salty waters isn’t exactly your thing, or you’re exhausted from all the fun in the sun, you can still enjoy the Palawan environment via the Ecological Trail. Make sure you wear proper trekking shoes, because you’ll be walking across jagged rocks and paths all while admiring the nature, smelling the fresh, cool air, and sighting the different small bodies of water like streams and lakes in the area. Animal enthusiasts should bring along their cameras, as well, as some Palawan-specific creatures are bound to roam about. The place is also photogenic enough for instagrammable/lifestyle pictures–Its rustic essence also gives the location a very chill vibe. The owner of the Kamia Bat is none other than Mich Tiotangco. 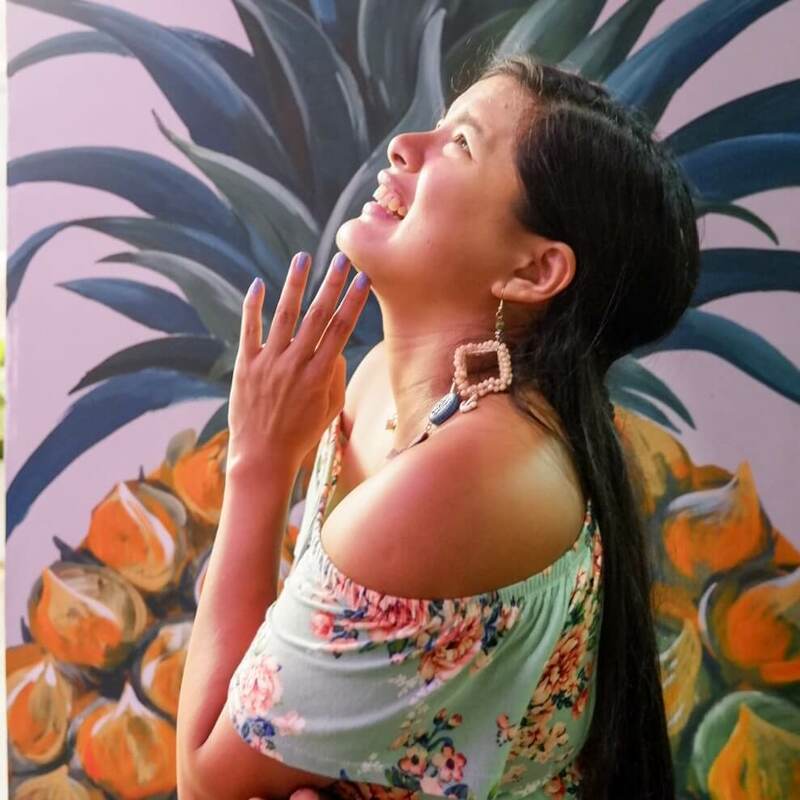 Her family started out as a passion project but they wanted to create more ways to invite tourism into Palawan. The location of Kamia Bay didn’t always use to be an inflatable park. It used to be their own private bay but now they have turned it into a business–young but very inspiring . Want to know more about the Kamia Bay Resort? Check out the #alohapalawan hashtag on Instagram or follow their account directly at: @alohapalawan for more news and exciting promotions. I’ve read so much about Palawan but as you mentioned, I was afraid about it being too expensive. It’s great to know that Air Asia offers cheap plane tickets, I’ll look into that, thank you! 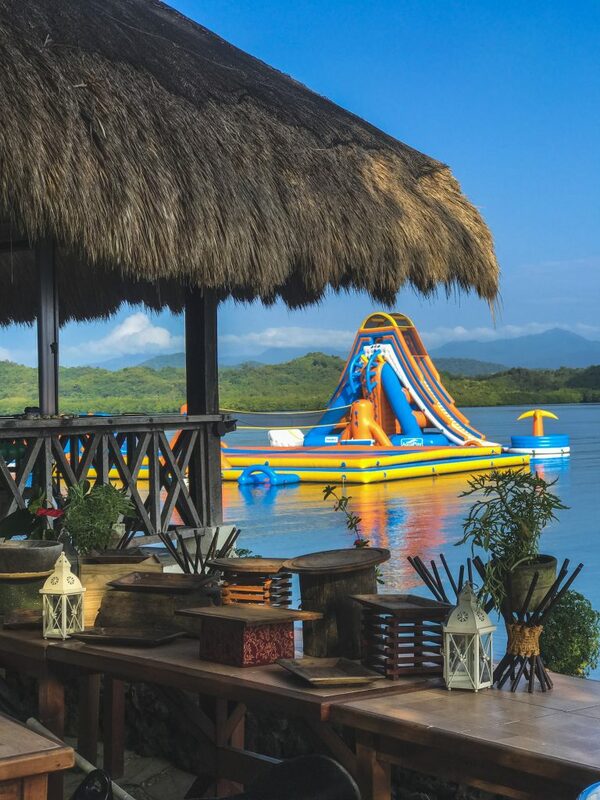 Such a nice hotel but I have to admit my attention went straight to Kamia bay – haha that looks like so much fun, a giant inflatable slide in the water is always a win. I don’t think I’ve ever had a guide to make sure I don’t lost on inflatables before, your not kidding when you say huge. The mountain bike trail sounds like a lot of fun. If you don’t have your skills up, no worries. There are plenty of ways to get a little experience. It’s such a great way to see nature and get your thrill on. I was in Palawan few years ago for my honeymoon! I didn’t know Kamia Bay exists! It seems like the perfect spot for adventure seekers! Will recommend Kamia Bay to my cousin who was looking for suggestions on Palawan. I can imagine her kids enjoying for hours on that inflatable. The food looks great and so affordable too. You got that right about becoming a kid on those inflatables. They look super fun. The accommodation too, looks comfortable and luxurious. I love the contemporary settings of the room. I have Palawan on my list. Maybe this year …let’s hope I can cross it off. We were supposed to also visit El Nido when we were in Palawan, but we ended up enjoying Coron so much that we just stayed there the entire time we were in the Philippines. We were diving and the diving was pretty good in Coron, and El Nido had been getting hit with the typhoons. Coron is really pretty. Soon, I want to visit again. Kamia Bay looks like so much fun. The inflatable slides there looks quite interesting and I think one actually needs to learn how to manage on them. Hue hotel looks quite comfortable and great too.